Welcome to the "Huckleberry House", a gorgeous mountain retreat in the Coal Creek Canyon nestled between the South Boulder Creek and Beaver Creek! 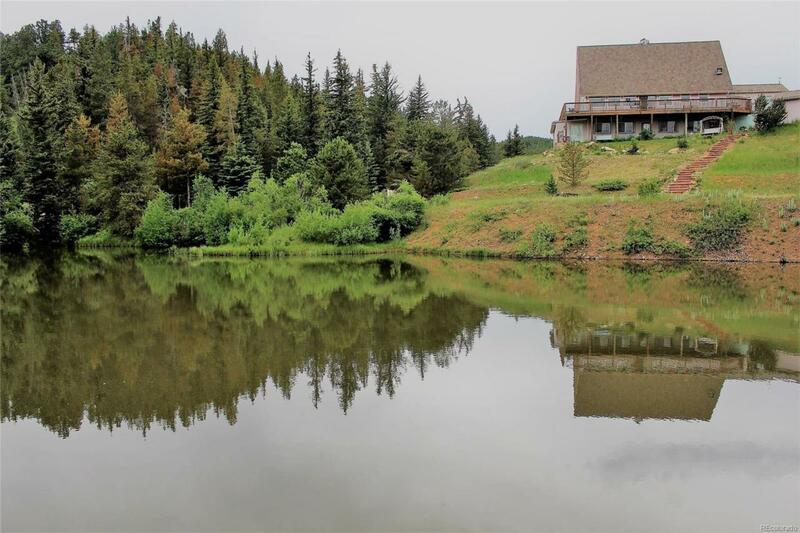 877 feet of frontage along South Boulder Creek, with 2 large private lakes teeming with trout, and a half acre of flower gardens. 4 bedrooms and 3 bathrooms. Remodeled kitchen featuring new cabinets, slab granite counters, and stainless steel appliances. Massive floor to ceiling rocked wood burning fireplace. Owners Suite features a separate lower level exterior entry door and elegant remodeled 5 piece bath. Previously known as the Beaver Inn, the Huckleberry House is ideal for a charming Bed & Breakfast! Only 14.9 miles north of Black Hawk, 9.4 miles east of Eldora Mountain (Ski) Resort, 5.6 miles to Nederland, 24 miles to Golden, and 39 miles to Denver. 9.02 acres total with 4.50 acres situated in Boulder County & 4.52 acres situated in Gilpin County. Possible AirBnB.